As improbable as is the profession of artisanal pencil sharpener, more outlandish still is the history of how one came to be one. In 2008, David Rees was a well-known comic-strip artist. Primarily known for his wickedly satiric online comic strip Get Your War On, in which he combined prosaic clip art with hilarious commentary on the Bush administration’s foreign policy and other issues, Rees became a cult figure, a beloved member of the This American Life pantheon of American cultural figures. His strip appeared in newspapers and Rolling Stone magazine, was made into a play, and was published in three anthologies. After seven and a half years, Rees had hit the big time, and he was living a lovely life as a country artist in Beacon, New York. But in January 2009, just when it all seemed to be jelling for Rees, he quit. “I didn’t have a backup plan,” he says. Months passed. Bereft of profession and in need of income, Rees became a local census taker. And here our story begins. When Rees broke his reverie and gazed about the room, he saw his cohort of counters, faces glazed in reminiscence, shavings falling like the years, as each man and woman sharpened his or her own pencil to a sharp point. “It was surreal,” he says. “I thought, I wonder if people would pay me to sharpen their pencils for them. 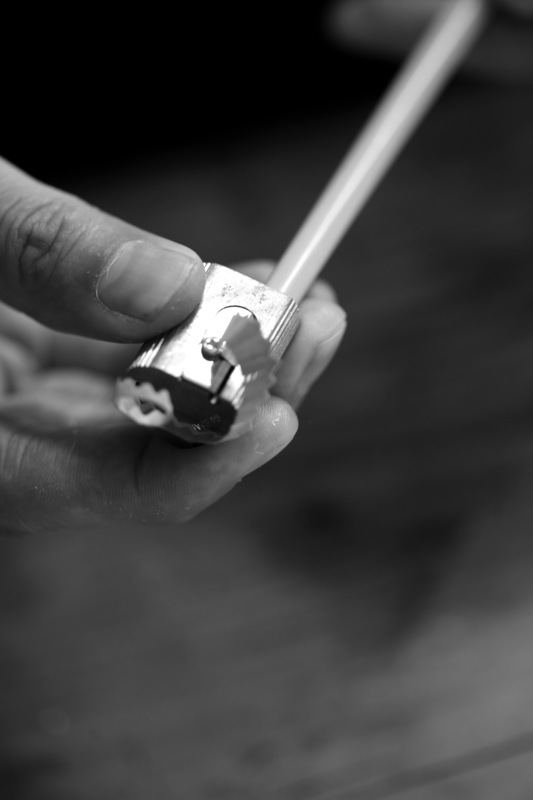 And I wonder if I could do it well enough to justify it to myself.” In that moment during the summer of 2010, his service, Artisanal Pencil Sharpening, was born. Even as Rees spent long hours knocking on doors, filling out the many forms and wearing down his own No. 2 pencils, he threw himself into his task. He invested in an armory of pencil sharpeners. 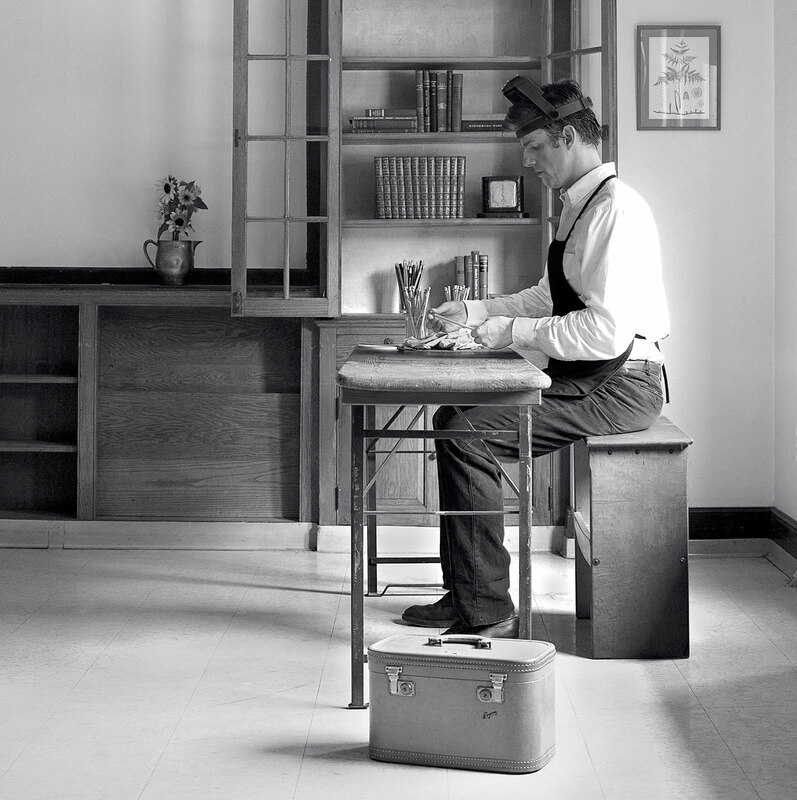 He bought an apron to protect himself from graphite dust and wood shavings, and a sanding block to delicately finish each pencil. He hung out his shingle on the Internet and waited for the No. 2s to arrive. “At first, people thought it was a joke or a goof,” says the 41-year-old. “But I’m serious about celebrating the pencil.” The idea of Artisanal Pencil Sharpening took hold of the Internet. It was outlandish enough to intrigue, absurd enough to believe, and affordable enough to indulge (he charges $35 per pencil in the U.S., and $40 in Canada). Soon a steady stream of pencils began to flow into Beacon’s post office like mini-lumber into a mill. Originally, Rees envisioned his service to be much like that of a knife sharpener. However, he has realized that few are those who actually use his sharpened pencils. “They keep them in the tube, like art,” he complains. “I wish they would use them.” If a customer asks him to provide a pencil, he uses one made of California incense cedar from the General Pencil Company in New Jersey. 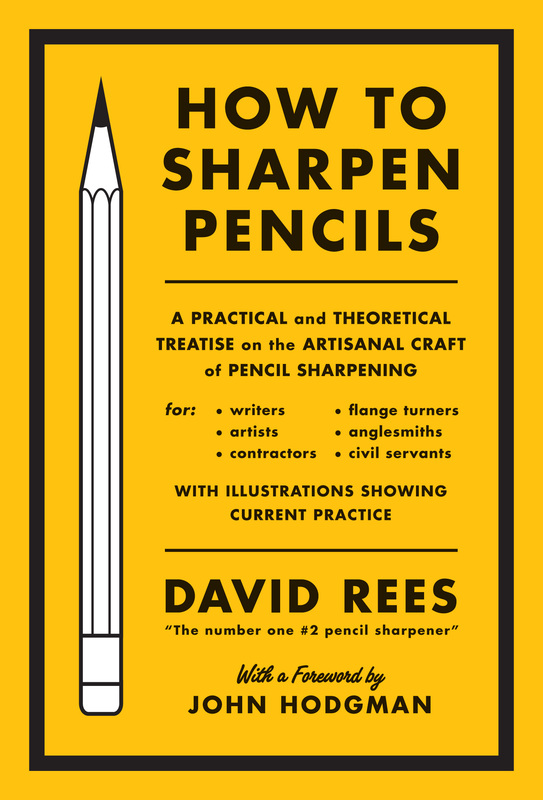 Two years ago, he published a book about sharpening pencils called How to Sharpen Pencils. 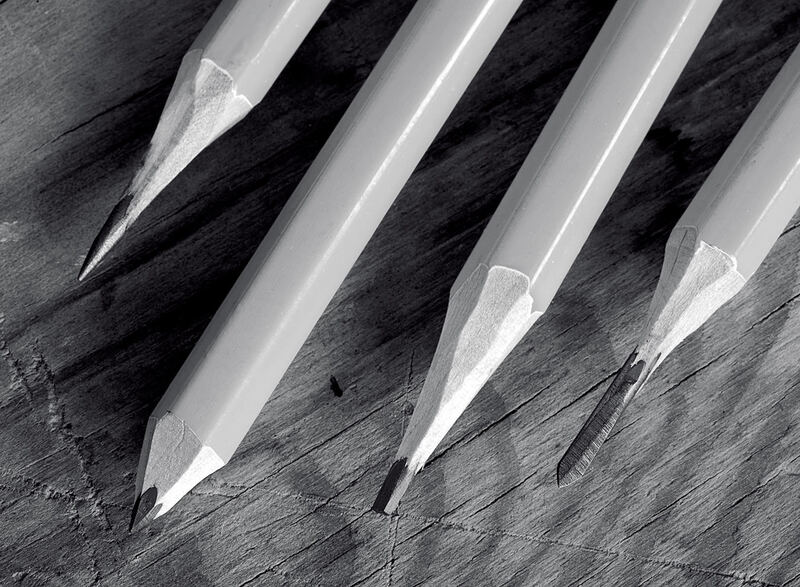 Unlike a pen, each valiant scratch of the pencil brings it closer to oblivion. Rees relishes the simplicity, and enjoys how the point can be lost, regained, and then lost and regained again. However, he says, “I won’t be doing this indefinitely.” He doesn’t know exactly what the future holds for him or for his honourable pencil friends, but he is eager to venture ahead into the unknown. That is, perhaps, the point. Photos provided by Melville House Publishing.